Located in a quiet area, far from the city traffic, the Bacero hotel is an excellent starting point to discover the attractions of the Lower Silesia like the Klodzka Valley, Stolowe Mountains, Ksiaz Castle and much more. 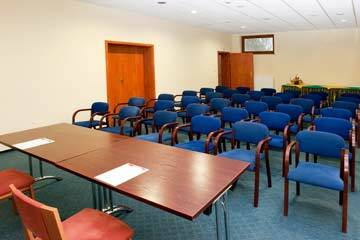 Nearby there are green recreation grounds where guests can relax or make romantic walks. Close to the hotel there are horse races. 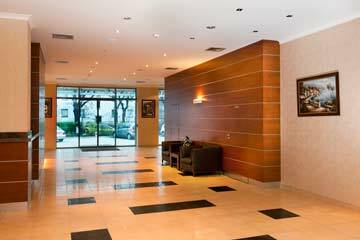 The hotel is close to the highway A4 and big shopping area of Wroclaw. You can reach the city center by car in only 10 minutes. The quiet area, and green surroundings will give guests good environment to rest and have a good night sleep. 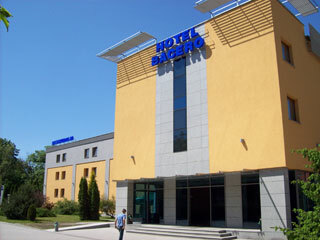 The Bacero hotel features 80 single and double rooms decorated with warm colors. The modern design furniture and cozy lighting that create the comfortable atmosphere to relaxation. In the Finini restaurant guests will savor excellent dishes of regional and European cuisine in elegant and cozy interior. Guests will start a day with rich breakfast buffet with aromatic coffee and fresh products. 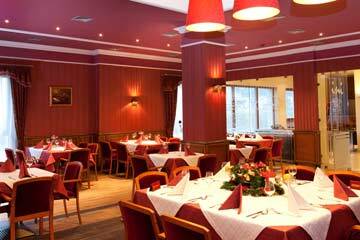 The restaurant is a place to organize various business and private events and parties. 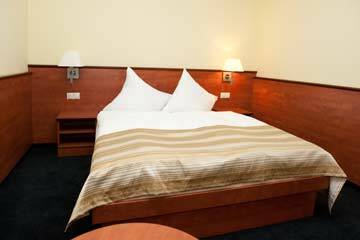 The Bacero hotel is located on the outskirts of WrocĹ‚aw, close to the A4 highway, close to the Wezel Bielanski, that is the large industrial and shopping center of Wroclaw. There is only 10 minutes by car to the city center. To the hotel you can go by bus 113. From the train station you should turn left to Powstancow Slaskich street, then go straight on about 6 km, then turn left to Zwycieska street. The hotel is about 300 km away, on the left side. From the airport you should driver along streets: Graniczna, Strzegomska, KleciĹ„ska, Hallera, Pow.Slaskich, Karkonoska i ZwyciÄ™ska..